A Chick-fil-A operator in Georgia recently went viral with his idea to have more family time. Brad Williams, a Chick-fil-A Operator in Suwanee, GA, came up with the idea for the Family Time Challenge where everyone puts their electronic devices in a “chicken coop” during the meal. The idea quickly went viral and was featured on ABC News and several other media outlets. 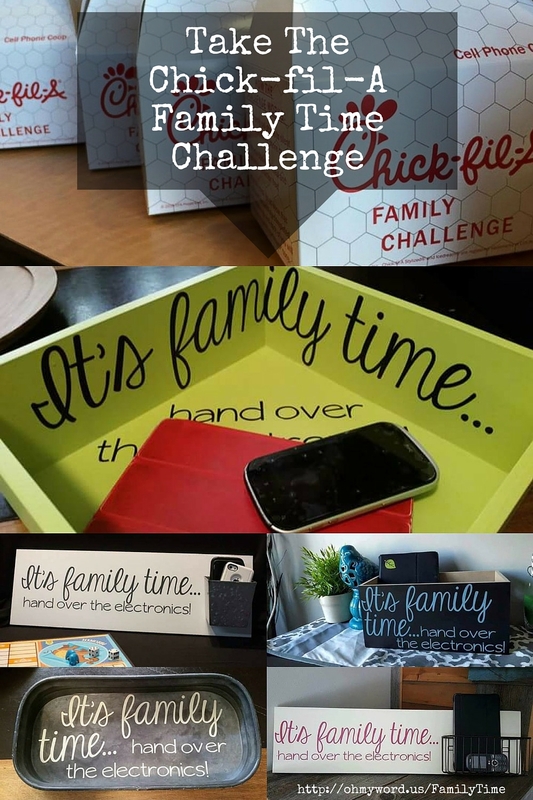 Now you can take the Family Time Challenge yourself with the “It’s Family Time” vinyl from Uppercase Living and just a few supplies. Take a look at these ideas and make your own today!